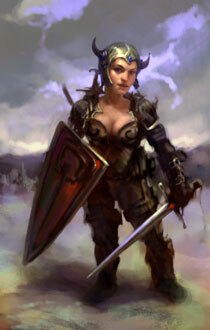 Not much is known about this little lady though her prowess as a fighter is undeniable. A perfect example of never judging a book by it's cover she's friendly and open to friends but deadly to her enemies. The party meet her along with Minsc and Mazzy at the Friendly Arm Inn located just South of Baldur's Gate.